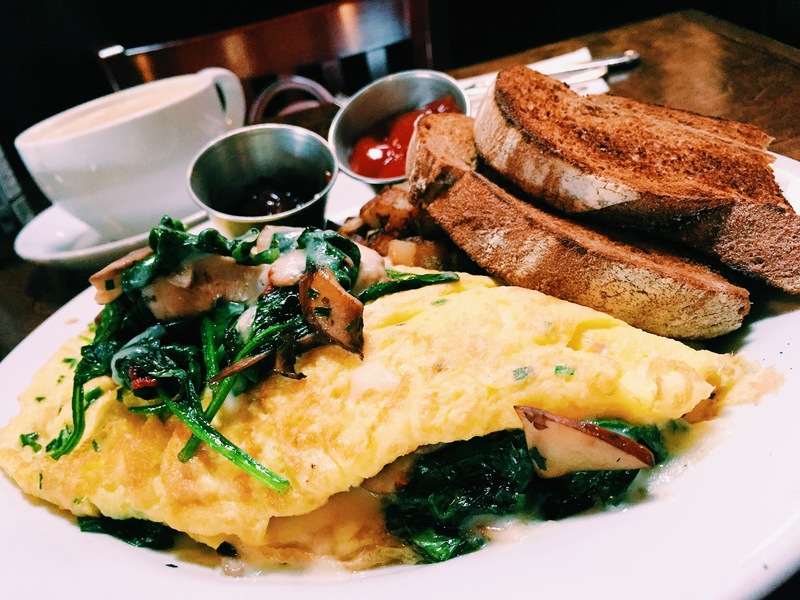 May 18, 2015 September 30, 2015 / Elizabeth T.
Is brunch even allowed to be this good?! I’ve heard about Blu Jam on Yelp for quite some time now (maybe two or three years ago), but I just never got around to trying it. But this past Saturday, after deciding that we were going to come to The Grove for some shopping, me and Vicky T. from Vicky’s Scrapbook stopped by Blu Jam late in the morning (or early in the afternoon, depending on what you consider morning or when you actually wake up). 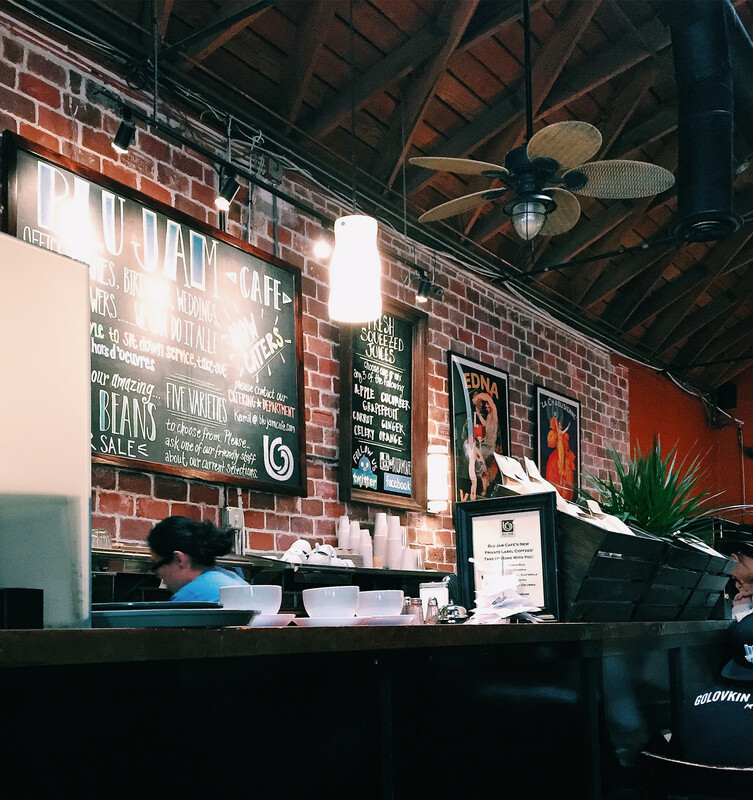 The cafe itself is really quaint with the red brick detailing on the walls, its high ceilings, and dark mahogany tables and chairs. 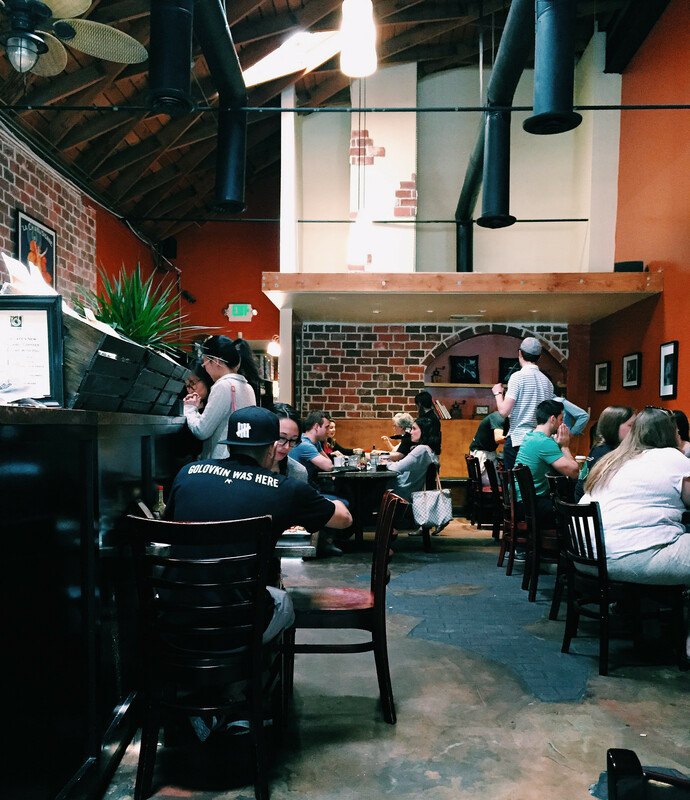 It just gives off that casual downtown feel, and it just seems like the perfect atmosphere for brunch. After skimming over the menu, we ordered the Crunchy French Toast (which is all over Yelp – and for good reason too because that is absolutely the best plate of sweet indulgence I have had in awhile) and the Burgundy Omelette (though we substituted the goat cheese with mozzarella because we’re not really fans of our four-legged friend’s dairy products) to share. 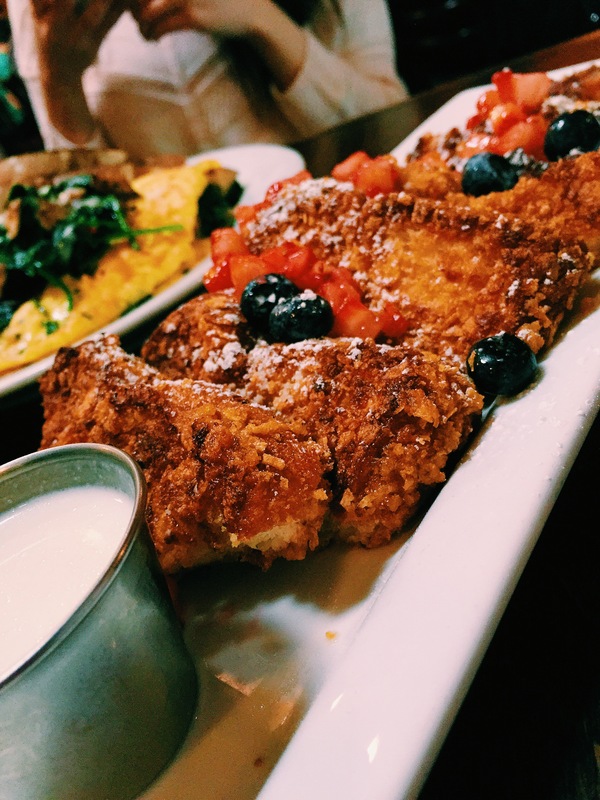 With its warm and fluffy interior juxtaposed against the crunchy and sweet exterior, the Crunchy French Toast alone – without even the berries, powdered sugar, and vanilla bean sauce – already proves that all the hype it’s been getting is the real deal. There’s just something so magical about mixing soft and crunchy, tasteful yet sweet, that gets your taste buds to really work up a party in your mouth. We both ordered Vanilla Lattes, and they’re pretty good, though there wasn’t any latte art (bummer), but the food more than made up for that! 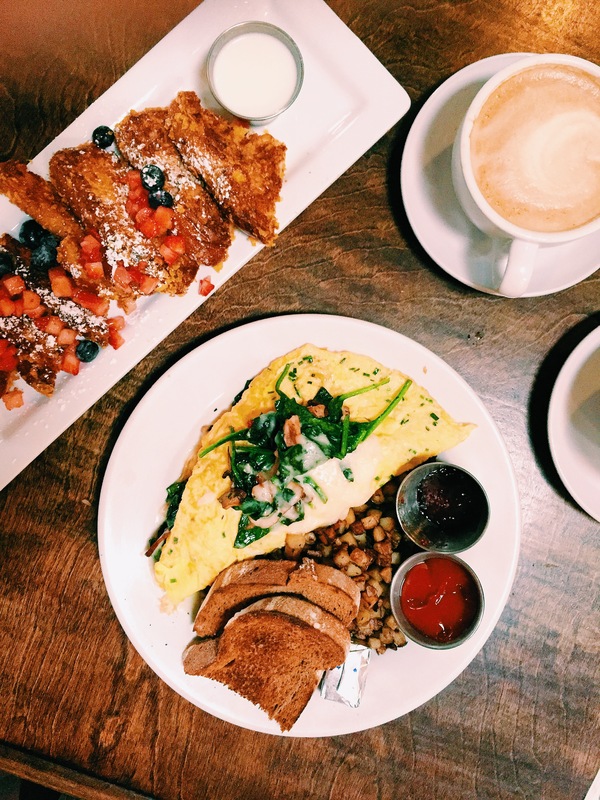 All in all, Blu Jam is definitely worth a try, but if you’re daunted by the wait or the street parking, just come a little earlier to avoid all of the brunch rush! 🙂 Will definitely be back again soon!